Yet Fr. Cekada not only lies by saying we “implied Billot was wrong,” but he claims that doing so “got us in deeper.” This is pure deception and demagoguery from a renegade priest, who apparently has no scruples or integrity, and it only confirms the dishonest tactics that we ourselves discovered when researching Sedevacantism as we wrote our book. Cekada & Company continue to ignore this fact of history and instead keep repeating the same falsehood, over and over again, no doubt hoping that their readers/viewers are not reading our replies. It is becoming very difficult not to conclude that they are individuals of truly bad will, who are simply out to “prove” their position in any way possible, with complete disregard for the truth. What should be completely evident by now, for anyone following this debate, is how the Sedevacantists cherry-pick quotations which they think help them, and completely ignore the ones which directly contradict their position. The good that God will no doubt draw out of Fr. Cekada’s recent videos, is that it will enable the Sedevacantists of good will to see the outright lies, dishonest tactics, and self-defeating arguments of Fr. Cekada for themselves – just as we discovered when researching our book. Regarding the new Sedevacantist “proof text” from Billot (which says a bishop loses his jurisdiction after he preaches heresy openly), as Fr. Cekada well knows, we never “implied that he was wrong.” Rather, we explained the quotation in light of the teachings of the other theologians, including saints and Doctors of the Church, with whom Billot was surely not disagreeing. By employing the proper theological distinctions, we showed how Billot’s quote is harmonized with those of the Church’s Doctors and her historical precedents, and which proved that the Sedevacantist interpretation of Billot is wrong. As we will see in a moment, Fr. Cekada himself (as well as his fellow Sedevacantists) acknowledges and employs these exact same theological distinctions (when it helps his case), and in doing so, concedes our case. Now, since we’ve already addressed the quotation from Billot in great detail in our refutation of Derksen (who first posted the new proof text on his website), we won’t repeat the same arguments again here. Instead, we will use this reply to Fr. Cekada to demonstrate how Sedevacantists are consistently inconsistent in their argumentation. Specifically, we will show how Sedevacantists have double-standards, by making certain theological distinctions only when they think it helps their case, while ignoring or even denying them when it is harmful to their case – which is another evident sign of dishonesty. We will also use this response to reply to another point Fr. 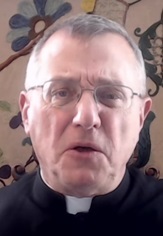 Cekada raised in his recent video – namely, his “new argument” (which is not new at all) that the recent Popes are not true Popes because they were “public heretics” before being elected, thereby rendering their elections invalid. Since Fr. Cekada is suddenly so fond of Cardinal Billot, we will use him as our main authority to refute this “new argument.” Before doing so, however, we begin by demonstrating the brazen inconsistency and double-standards in Sedevacantist argumentation. The key phrase from Billot, which the Sedevacantists are currently focusing on, is the statement that a prelate who “professes heresy openly” (a public heretic) loses his jurisdiction. In our reply, we made the necessary distinction between the two elements of heresy – namely, the matter (heretical doctrine) and the form (pertinacity). We showed that in order for one to be properly considered a public heretic, both elements must be established. In other words, the error professed must be qualified as truly heretical (not just a lesser error, however grievous it may be), and it must be established that the person is professing the heresy with full knowledge that it is contrary to what the Church teaches. Both matter and form are required for one to be a heretic, and both must be public for one to be a public heretic. Regarding the matter specifically, it is not enough that the doctrine being denied is a revealed truth (contained in Scripture or Tradition). It must be a revealed truth that has been definitively proposed as such by the Church. Before the Magisterium has definitively proposed a “material dogma” as being an article of faith, the rejection of the doctrine is not qualified, strictly, as heresy (at most it would be material heresy). Now, the doctrine that Nestorius denied in the year 428 had not yet been defined by the Church. The false doctrine that he professed was condemned as heresy at local council held in Rome in 430 (with the Pope presiding), and the doctrine he denied was not defined by the Church until the Council of Ephesus, in the year 431. What this means is that Nestorius was not truly preaching heresy the moment he professed the false doctrine in 428, as the Sedevacantists allege. And that means Nestorius did not lose his office by “Divine law,” the moment he began preaching his errors in 428, as the Sedevacantists also allege. Are the Sedevacantists aware of this requirement, that a doctrine must be definitively proposed as an article of Faith by the Church before its denial amounts to heresy? You bet they are. As we will now see, the Sedevacantists themselves use this exact argument to defend Pope John XXII from accusations of preaching heresy and losing his office (they are forced to do so, since John XXII is recognized by the Church as a true Pope). But in doing so, the Sedevacantists have created an embarrassing and shameless double-standard: What they admit applies to John XXII, they refuse to apply to Nestorius. And this double-standard is a “dead giveaway” that their treatment of Nestorius, nay, their entire thesis, is false. In the year 1331, Pope John XXII publicly denied that the souls who die in the state of grace will possess the Beatific Vision before the resurrection of the body on the Last Day. The Pope taught this heresy publicly multiple times in both speeches and written tracts and even tried to impose it on the Church. Needless to say, when John XXII began teaching this false doctrine, it caused a tremendous tumult and division within the Church. To his credit, on his deathbed John XXII retracted his grievous error, and his immediate successor, Pope Benedict XII, defined as an article of Faith the doctrine that John XXII had publicly denied. Notice that Speray says “John XXII taught a heresy,” yet he realizes that he did not automatically lose his office. And why is that? Because, as he said, “it didn’t contradict any defined doctrine.” But those facts are exactly the same as in the Nestorius case, since the heresy Nestorius professed in 428 was not condemned as heretical until 430 (with the authority of the Pope), and the doctrine he denied was not defined until 431. These are historical facts, and facts that only Sedevacantists deny. You see, dear reader, when it suits their case, the Sedevacantists make the necessary theological distinctions. In the case of John XXII, the Sedevacantists concede that a person who preaches material heresies does not “lose his jurisdiction” (in Billot’s words) when the doctrine he denies has not yet been defined by the Church. Yet, these Sedevacantists deny or ignore these very same distinctions when it comes to the case of Nestorius. And, interestingly, in John XXII’s case, Fr. Cekada not only teaches that the matter (false doctrine) was not formally heretical, but he also excused John XXII by arguing that the form (pertinacity) was lacking. So Fr. Cekada himself addresses both elements of heresy in the case of John XXII, but he refuses to apply the same, necessary analysis in the case of Nestorius. And he simply ignores our explanation of the elements of heresy in light of the Billot quote, which showed that Nestorius could not have been properly considered a public heretic until at least 430 A.D. (after the heretical doctrine was condemned, and after Nestorius remained hardened following ecclesiastical warnings). Clearly, in the case of Nestorius, neither the matter nor the form of heresy was present when he first began preaching the (materially) heretical doctrine (which was also the case with John XXII). And that means the quotation from Billot only refutes the Sedevacantist argument, since Nestorius was not “preaching heresy openly” in 428 A.D., the year that Sedevacantists allege he lost his office. If the Sedevacantists try to claim the doctrine that Nestorius denied had already been proposed infallibly by the force of the Ordinary and Universal Magisterium (OUM), they are on very thin ice, since the same argument could easily be made for the doctrine that John XXII denied. In fact, a much stronger case could be made that the doctrine John XXII denied had been definitively proposed by the force of the OUM (at the beginning of the fourteenth century) than the doctrine that Nestorius denied (at the beginning of the fifth century), since the passage of time brings greater clarity to doctrines that have not yet been solemnly defined by the Church. Further, unlike the doctrine of the departed souls possessing the Beatific Vision, the Christological doctrines of the early centuries of the Church were among the most confusing and debated doctrines in the Church’s history. The many early heresies concerning Christ’s divine and human nature show how the Church’s Christological doctrines were not as clearly formulated at this time, much less definitively proposed by the force of the Ordinary Magisterium. Sound familiar? You see, when it suits their case (e.g., “The doctrine John XXII denied was not yet defined”), the Sedevacantists will make the necessary distinctions between the matter and form of heresy, and definitively proposed doctrines versus material dogmas that have not yet been defined. But when these same distinctions destroy their case (“The doctrine Nestorius denied was not yet defined”), they run and hide from them. What this demonstrates, ironically, is that the Sedevacantist apologists themselves (Cekada, Derksen) have publicly exposed themselves and their inability to make their case, by acknowledging and applying the necessary distinctions when they think it helps them, but failing to apply them when it hurts them. Such inconsistent and contradictory “testimony” is one of the most obvious and compelling pieces of evidence used to impeach a witness. It is the proverbial dead giveaway that the witness’ testimony is unreliable, if not perjurious. It also shows that these Sedevacantist apologists are dishonest men who have not the slightest affection for the truth. We now come to the second point. Fr. Cekada makes the absolute joke of a statement that our book, released a month ago, is “outdated.” Why would he make such a foolish statement? Obviously because the book exposes his errors in broad daylight and he doesn’t want that kind of exposure. But the reason he gives is that Sedevacantists no longer hold that the recent Popes lost their office due to post-election heresy (translation: we couldn’t prove they lost their office this way, so we are going to try another argument). Instead, Cekada claims that they never validly acquired the office in the first place, due to pre-election heresy. Now, as we have noted previously, our book addresses all of the arguments used by Sedevacantists, including this one. This “new argument,” and the Cekada article which first advanced the argument, are dealt with in Chapter 12 of our book. So, you see, contrary to the totally false claims of Fr. Cekada, we do indeed address his new argument in Chapter 12 (over the course of at least ten pages!). Did Fr. Cekada really not see this on our website or is he lying, yet again, in order to deceive his viewers? And if Fr. Cekada really hasn’t read Chapter 12 yet, don’t you think he at least went to the book’s index to see all the entries under his name? And when he did this, don’t you think that he saw the entry under his name titled “-pre-election heresy as new argument, 369-377”? Again, ask yourself if Fr. Cekada really didn’t know that we address his “new argument” in our book, before he declared the book “outdated” because we allegedly didn’t address the argument. Is it possible that Fr. Cekada didn’t read Chapter 12, or at least the first two pages of Chapter 12 on our website, or at least the entry in our index which clearly provides that we address the “new” argument? Or is it more likely that Fr. Cekada told another reckless and bold-faced lie, which he shamelessly recorded on video tape, since he is so desperate to discredit at any cost (even grave sin) a book that will prove to be a source of his own demise? Cekada’s arguments are so dishonest and idiotic, he must be betting that his audience simply does not read our material. And this must be the case, otherwise he wouldn’t have an audience. Now, think about something else for a minute. Fr. Cekada claims that our book is outdated because he falsely alleges that the book addresses only the loss of office for papal heresy (and not pre-election heresy). Remember, he claims that this old argument no longer applies, since Sedevacantists now claim the recent Popes never acquired their office to begin with. But if that is what they are now arguing, why are they citing this newly discovered “proof text” from Billot to defend their “new” argument? After all, the Billot quote addresses how a prelate loses his office (the old, outdated argument), not what prevents the Pope from validly acquiring the office (the shiny, new argument). Yet, in spite of this, Fr. Cekada produced a video to spotlight the new quote to defend their “new” position – even though the quote is supposed to address their old, “outdated” argument. Clearly, this shows that the Sedevacantists are scrambling for new tactics and strategies, which they can’t even keep straight themselves, as their house of cards is collapsing before their eyes. The truth of the matter is that the Sedevacantists continuously bounce back and forth between different arguments to defend their indefensible thesis. When they are losing the debate on one argument, they inevitably switch to another, as the above example illustrates. And this explains one of the reasons our book is 700 pages. Since they continuously appeal to different arguments, without regard to any systematic method, it was necessary to address each and every argument directly, in one source, which is what we did. Had we left any arguments out, they would have ignored everything in the book and focused on that point alone – which Cekada, to his own embarrassment, attempted to do. And since we have refuted of all of their arguments, they will soon be reduced to criticizing the book on other nonsensical grounds, such as finding the inevitable “typo,” or dismissing it due to its “Novus Ordo” endorsements, or some other such nonsense. We will now address the alleged “new” argument directly and demonstrate that it is no better than their old argument. When theologians and canonists say that a public heretic is prevented, by Divine law, from acquiring the papacy, they are referring to a person who is a public heretic according to the Church’s judgment. For example, the Church would be unable to elect Billy Graham, or Joel Osteen, to be the Pope, since neither of these individuals are members of the Church: they are both public heretics (in the external forum), according to the Church’s judgment. On the other hand, a Cardinal who enters the Conclave in good standing with the Church is not a public heretic according to the Church’s judgment. A public heretic would never be allowed to enter the Conclave and participate, either actively or passively, in the election of a Pope. Think about this for a minute. How could Angelo Roncalli (John XXIII) have been a public heretic without Pope Pius XII knowing about it? And Pius XII not only accepted him as a member of the Church in good standing, but elevated him to the position of Cardinal in 1953. Clearly, Cardinal Roncalli was not a public heretic according to the Church’s judgment, which explains why he entered the Conclave and was elected Pope. The same is true with all of his predecessors, who also entered the Conclave in good standing with the Church, and therefore cannot be considered "public heretics" prior to their election. But the problems for this “new” argument don’t stop here, since we have infallible certitude that the Sedevacantists are wrong when they claim that all the Popes since Pius XII have been antipopes. Do Sedevacantists Really Want to Quote Cardinal Billot? The peaceful and universal acceptance of a Pope provides infallible certitude that the man is, in fact, a true Pope, and to deny such a fact constitutes a mortal sin against the Faith. Furthermore, the acceptance of the Pope by the entire Church also, quite logically, provides infallible certitude of the presence of all the conditions required for the man to be validly elected, one of which is that he is not a public heretic (a public heretic lacks a condition – namely, membership in the Church which is required to be elected Pope). 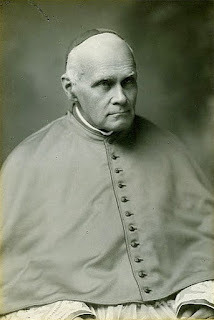 Now, since the Sedevacantists have suddenly become great enthusiasts of Cardinal Billot – “one of the most eminent theologians of the 20th century,” as Fr. Cekada tells us - we will cite his teaching regarding this very point. Surely they will accept the teaching of the great theologian, right? One of the twenty-first century’s very best? Don’t count on it. Their love affair with Billot is about to end. “Finally, whatever you still think about the possibility or impossibility of the aforementioned hypothesis [Pope falling into heresy], at least one point must be considered absolutely incontrovertible and placed firmly above any doubt whatever: the adhesion of the universal Church will be always, in itself, an infallible sign of the legitimacy of a determined Pontiff, and therefore also of the existence of all the conditions required for legitimacy itself. It is not necessary to look far for the proof of this, but we find it immediately in the promise and the infallible providence of Christ: ‘The gates of hell shall not prevail against it,’ and ‘Behold I shall be with you all days.’ For the adhesion of the Church to a false Pontiff would be the same as its adhesion to a false rule of faith … As will become even more clear by what we shall say later, God can permit that at times a vacancy in the Apostolic See be prolonged for a long time. He can also permit that doubt arise about the legitimacy of this or that election. He cannot however permit that the whole Church accept as Pontiff him who is not so truly and legitimately. This teaching from Cardinal Billot – again, “one of the most eminent theologians of the 20th century” - completely refutes the Sedevacantist claim that the all the Popes since Pius XII have been “pubic heretics” prior to their election, and it does so in the strongest of terms. According Billot, it is “absolutely incontrovertible” and beyond “any doubt whatever” that the conciliar Popes are true Popes, since the Church’s adhesion to them is an “infallible sign” of their legitimacy, an adhesion that God “cannot however permit” if they were antipopes, as the Sedevacantists falsely allege. This necessarily means the conciliar Popes were not “public heretics before their election” (the so-called “new” argument), since public heretics are not members of the Church, and a man must be a member of the Church to be elected Pope. And thus, the Sedevacantists’ new favorite theologian smashes their “new” argument to smithereens. Did we mention the love affair with Billot is about to end? Notice that, even though he concedes that Savonarola is considered a true Pope by the Church (making it a dogmatic fact), he nevertheless sides with Savonarola in holding the exact contrary. For Speray, the public judgment of the Church means absolutely nothing, when he personally disagrees. And don’t forget, the rejection of a dogmatic fact (e.g., was Alexander VI a true Pope?) is a mortal sin against the Faith, which causes one to lose the other theological virtues of hope and charity as well (which may be why we see such despair and rotten fruits among Sedevacantists). Like all other mortal sins, this sin cannot be forgiven unless one first repents, which, in this case, includes renouncing the error of Sedevacantism. The Sedevacantists claim it is a “fact” that the recent Popes were not true Popes, when the exact opposite is true. It is a fact – a dogmatic fact – that they were not only members of the Church in good standing prior to their election, but that they acquired the papacy validly. This dogmatic fact gives us infallible certitude that they were not public heretics prior to their election, as the Sedevacantists falsely claim. It is “incontrovertible” and “beyond any doubt whatever” that the conciliar Popes – at least through Pope Benedict - are true Popes, since the Church’s adhesion to them is an “infallible sign” of their legitimacy, which God “cannot permit” if they were false, antipopes. It is within the scope of the Church’s Magisterial authority to declare this dogmatic fact “infallibly,” which means “this fact is infallibly true.” This also means that it is “not permitted to raise doubts” about the validity of their elections, regarding “a possible lack of any condition whatsoever necessary for legitimacy.” This infallible, dogmatic fact excludes even “the possible fear of the opposite.” And this means that Sedevacantism, without any doubt whatever, is a false and anti-Catholic thesis that denies the very authority of the Catholic Church, and thus, must be forcefully denounced by all true Catholics. Before concluding, we would like to address one final point. In all of Fr. Cekada’s videos in which he attacks Mr. Salza, he shows a strange obsession with Salza’s profession, showing images of his Linkedin page, and repeatedly pointing out that Mr. Salza is an attorney - as if such professional training in how to examine evidence and present logical arguments somehow makes Salza less capable of tackling the issue of Sedevacantism! (Of course, when your interlocutor attacks your credentials, it usually means he cannot adequately rebut your arguments, and is thus looking for another way to undermine your credibility in front of his own audience.) Is Fr. Cekada suggesting that one must be a theologian to understand these issues? To understand that Constantinople IV condemned Sedevacantism? To understand that the peaceful and universal acceptance of a Pope is an infallible sign of his legitimacy? To understand that Catholics are not to elevate their private judgments above the public judgment of the Church? We suppose that Fr. Cekada thinks St. Thomas More (a lawyer, not a theologian) would also have been incompetent to understand these issues. Note well that Cekada is neither an attorney nor a theologian, and received his original theological training at St. Francis Seminary College (in Salza’s hometown of Milwaukee), which is one of the most liberal, corrupt and pro-homosexual seminaries in the United States. So spare us your critique of credentials, Fr. Cekada. If you had professional legal training (like Salza, Ferrara and McCall, who have all taken you to task), you would have learned how to weigh evidence and make logical arguments, rather than commit the most basic blunders on fact and law that even a first year law student wouldn’t make. Ibid., bk. 2, ch. 13. Noort, The Sources of Revelation, p. 229.
 https://stevensperay.wordpress.com/category/first-vatican-council/ He repeated, word for word, the exact same argument here: https://stevensperay.wordpress.com /category/tradition-in-action/. Even if Nestorius and John XXII were publicly contradicting doctrines that had already been defined by the Church (“preaching heresy openly”), they would still not have automatically lost their office under “Divine law,” until the Church established their pertinacity (the formal element of heresy). Only then would they have lost their office for preaching heresy openly, by being judged by the Church as guilty of the crime of heresy. Fr. E. Sylvester Berry, The Church of Christ, p. 290. In his 1951 book “On the Value of Theological Notes and the Criteria for Discerning Them,” Fr. Sixtus Cartechini, S.J., explains that the rejection of a dogmatic fact is a “mortal sin against faith.” And the example he uses of a dogmatic fact is the legitimacy of a determine Pope. See: See: http://www.the-pope.com/theolnotes.html. As we explain at length in our book, the Pope is the rule of faith to the extent that he infallibly proposes doctrines that must be assented to by faith. Personal opinions or non-infallible teachings of a Pope do not constitute articles of faith. This explains why John XXII, for example, was not a “false rule” of faith when he taught his error regarding the Beatific Vision. Speray, “Papal Anomalies,” pp. 133, 136. We are qualifying this statement because a case could be made that the controversies surrounding the resignation of Pope Benedict and election of Pope Francis, as well as the number of well-regarded Catholics who have publicly raised doubts concerning the legitimacy of his papacy, shows that the peaceful and universal acceptance necessary for infallibility may be lacking in the case of Pope Francis.. Nevertheless, like all questions of fact and law in the ecclesiastical forum, this matter would have to be resolved by the Church and not private judgment.